What does it take to ensure your e-learning course improves employee performance to achieve the desired business goals? You have to see that the training you provide employees is effective. Training design and development starts after you identify and define performance gaps and training needs. 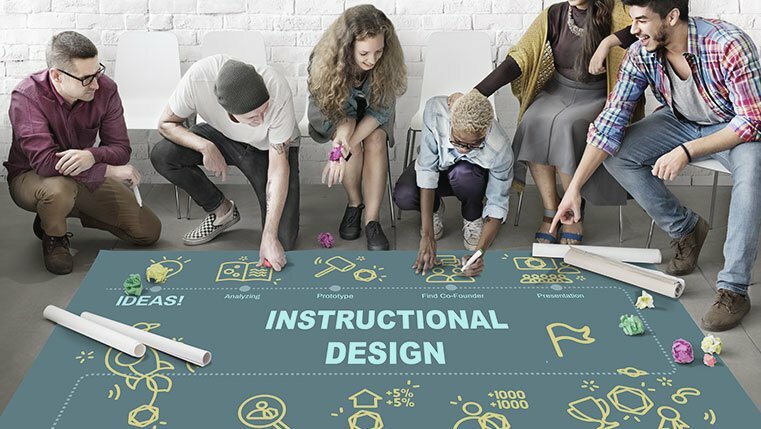 When instructional designers settle down to create course content, the most important, and the first thing they do is frame learning objectives. A learning objective is a clearly written statement that specifies what the learner should be able to do after he completes the course. It is important not to confuse learning objectives with learning goals and instructional objectives. To make things clear, let us look at the example below. This course must impart the necessary skills to learners, needed to prevent off-label marketing of drugs. In this course, learners will be taught how to identify the violations of norms pertaining to off-label marketing of drugs. After completing this course, learners will be able to identify the violations of norms pertaining to off-label marketing of drugs. As you can see, the learning goal specifies what the course intends to accomplish i.e., impart necessary skills to learners, needed to prevent the off-label marketing of drugs. On the other hand, the instructional objective specifies what the learners will be taught i.e., how to identify the violations of norms pertaining to off-label marketing of drugs. The learning objective describes what the learner will be able to do after completing the course, i.e., identify the violations of norms pertaining to off-label marketing of drugs. OK. What’s the big deal about learning objectives? Learning objectives help course designers perform two important tasks. It is well-said that content is the heart of a course. Good learning objectives help course designers present the exact content required to help the learner perform their job effectively. For example, the learning objective of a course is as follows. After completing the course, the learner will be able to create a Purchase Order in SAP. Based on the objective, the developers of the course can identify the right content – content needed to enable the learner create a Purchase Order in SAP. Learning objectives help instructional designers design and develop effective assessments for the course because they provide the basis on which the learner can be evaluated. This enables the instructional designer get clarity on what the learner needs to be tested on. Staying on with the example mentioned above, the instructional designer needs to assess whether the learner is capable of performing the procedure of creating a Purchase Order in SAP correctly. And, this knowledge would enable the instructional designer come up with the right strategy for assessment – an ‘unaided’ simulation where the learner has to execute the procedure correctly. What is a good learning objective? Let us now look at an example of a good learning objective. Learners will be able to evaluate the impact of industrial effluents released by the nuclear power plant under construction, given the data from an existing plant, to suggest the appropriate solution to treat the effluents. In the above learning objective, the words learners will be able to evaluate the impact of industrial effluents released by the nuclear power plant under construction describe what the learner will be able to do after completing the course – evaluate the impact of industrial effluents released by the nuclear power plant under construction. The words given the data from an existing plant indicate the condition under which the learner will perform the task – if the data from an existing plant is given. And, the criteria for evaluating learner performance is indicated by the words to suggest the appropriate solution to treat the effluents – appropriateness of the solution to treat the effluents. A learning objective is a clearly written statement that describes what the learner will be able to do after completing the course. Well-framed learning objectives help identify the right content for the online course and develop effective assessments to evaluate the learning. But what does it take to write a good learning objective? Is it a highly perfected art or is it a science? Next week, we will look at the science of learning objectives. Stay tuned for my next blog on Bloom’s taxonomy.